A beautiful, rural, country Inn with four star accommodation. A row of three 17th century buildings behind a splendid rough stone wall make up the Kings Head which stands opposite the largest church on the Gower peninsula in the coastal village of Llangennith. From the village there is easy access to Llangennith beach, where the sand stretches to Rhosilli, nearly four miles away. The King’s Head has been owned and managed by the Stevens family since the 1980s. In the olde worlde character bars, with beams and exposed stone, an impressive variety of food is served nearly all of it home-made and based on fresh Welsh produce. The Kings Head has a large selection of Real Ales, up to 7 at any one time, nearly all produced at our own Brewery. The bar also boasts possibly one of the largest collection of malt whiskies outside Scotland (with over 100 available) and they're all personally collected from Scotland (with the exception of our local Penderyn Whisky). Located in the heart of Port Eynon, Gower. The Ship Inn offers a rustic seafaring décor. We serve food throughout the day whilst promising excellent service. Having obtained the lease for the Berthlwyd/ Sea Garden in November 2016 Chris & Emily Mabbett wanted to create a new dining experience for the area. They decided that the name for the pub needed to have local influence and so were inspired by the cockle industry. The Rake and Riddle are the traditional cockle gathering tools that have been used for over a century in the village of Penclawdd. Their objective was to combine modern flavours with traditional quality with emphasis on using local produce. Renovation work began in early December 2016 where extensive work was carried out inside and out, creating a relaxed, welcoming interior and a fantastic outside space, perfect for families. Work is now complete with a sports bar and pizzeria having opened in May 2017 along with a beer garden and children’s play area. 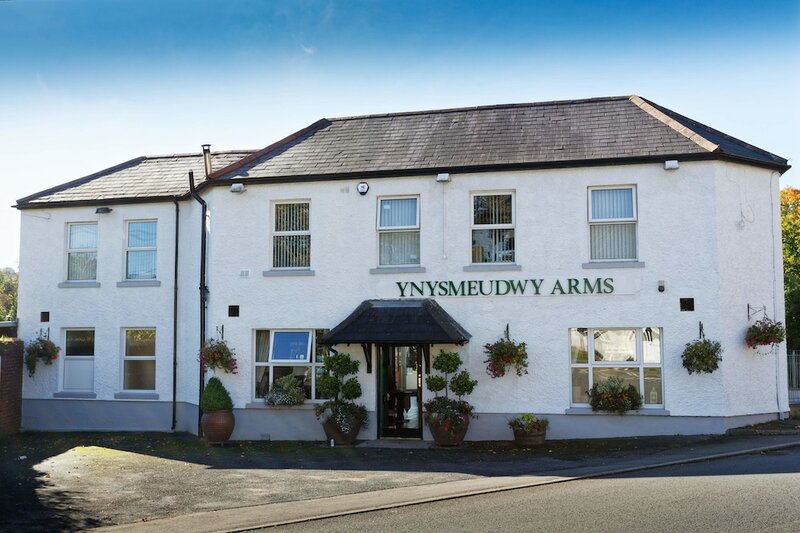 An 18th century inn, the Ynysmeudwy Arms is the perfect hideaway to relax and unwind. With our beautiful outdoor space and play area, our inn is a wonderful spot for the whole family to enjoy, surrounded by all the natural beauty South Wales has to offer. We have seven ensuite comfy and cosy guest rooms, beautifully finished and served with a warm welsh welcome. Welcome to relaxation, the ideal base for exploring the wonders of South Wales. A location that offers all, from beaches and coastal walks, to mountain hikes and cycle treks, we’re an ideal comfy base for adventures to unique and outstanding areas of natural beauty. Quintessentially welsh, our inn offers warm hospitality, with close proximity to sights found nowhere else in the world, from the stunning Brecon Beacons to the fabulous Gower Peninsula.